Revisit and revise an old favourite with our delicious modern prawn cocktail. 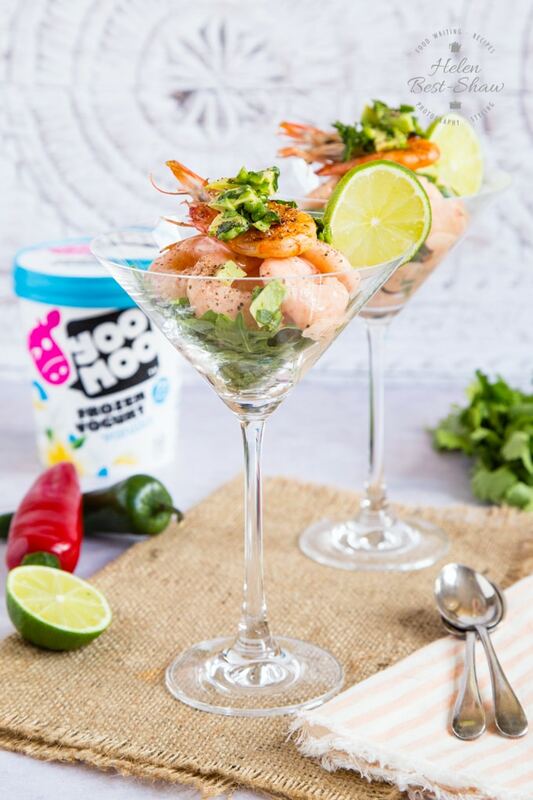 This recipe includes a surprise centre of a cooling scoop of yoomoo vanilla frozen yogurt, offsetting the hint of heat from chili sauce found in the dressing on the prawns, and finely diced chili in the garnish. This dish is dinner party worth but also perfect to serve on date night or for casual dining with friends. Just because a dish isn’t fashionable doesn’t mean it can’t taste great. I used to love prawn cocktail in all its forms: as the original dressed prawn starter, but also as prawn cocktail flavour crisps, and as a sandwich. Heresy, I know, but delicious anyway. Here, we’ve revisited the classic first course, and given it a twist by using some yoomoo vanilla frozen yogurt. The cool, sweet frozen yogurt works really well with the heat from the chili used in the dressing for the prawns. Not only that but vanilla in the yogurt and the sweetly savoury juicy prawns are a great combination too. This dish is so easy to make, and looks so appetizing – very little effort here really going a long way and tick all the boxes for my preferred effort to glory ratio! Just mix, assemble, and serve! 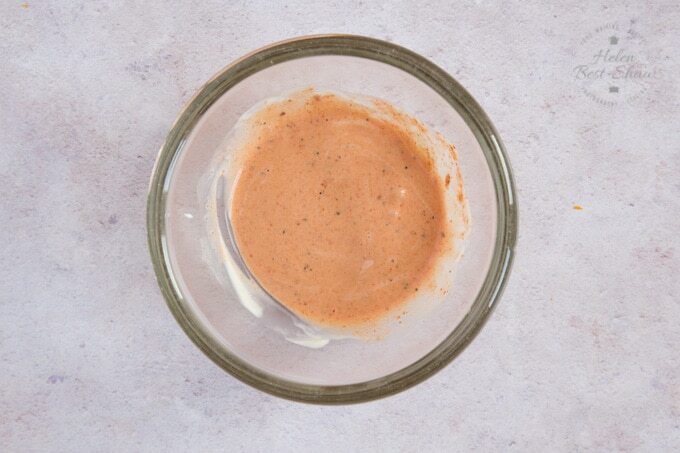 First, make the vanilla Marie Rose sauce by mixing defrosted vanilla yoomoo, mayonnaise, a teaspoon of tomato puree, a teaspoon of chili sauce and some black pepper. Second, add the peeled prawns to this mixture, and stir well to coat each prawn with sauce. 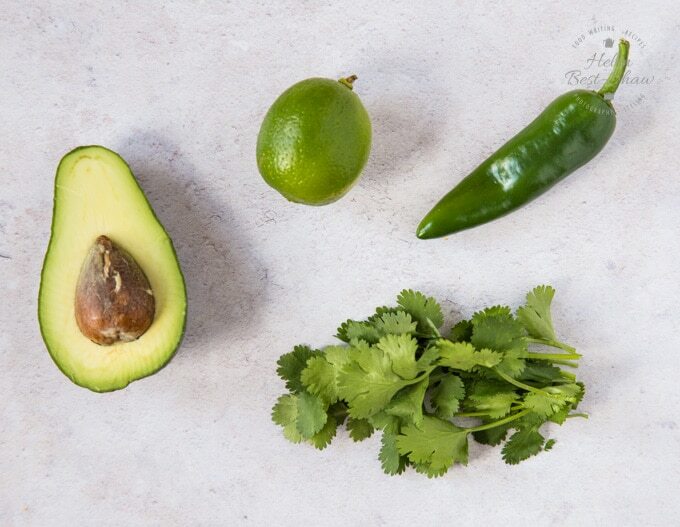 Third, prepare the avocado salsa: finely dice half an avocado, as much fresh green chili as you want and coriander, mix and finish with a squeeze of lime. 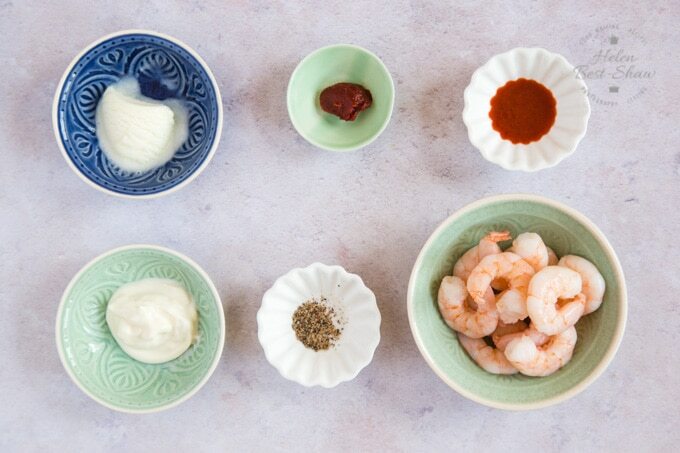 Fifth, you’re all ready to assemble your modern prawn cocktail. Place some rocket at the bottom of each cocktail glass. Place a scoop of vanilla yoomoo frozen yogurt on top of the leaves. Add the prawn mixture. 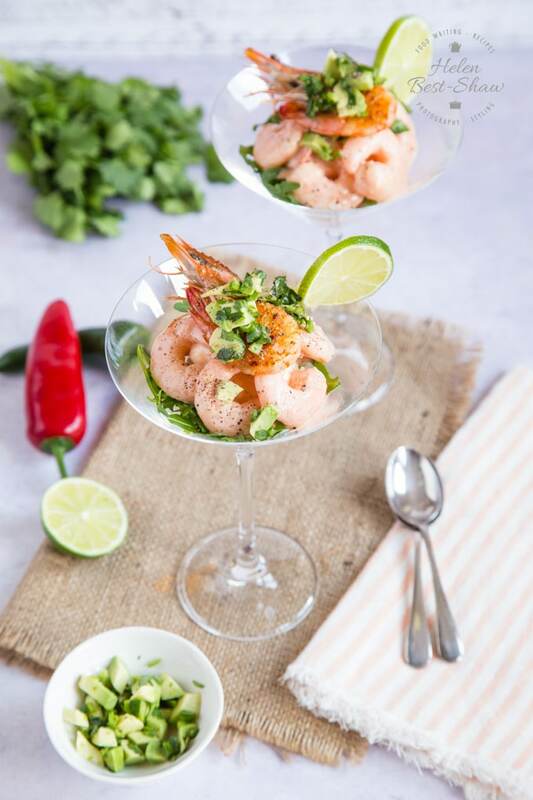 Garnish with chili, avocado, chopped coriander a slice of lime and an optional grilled shell on prawn. Season with a pinch of freshly ground black pepper. If you want to make this dish ahead of time, mix the sauce and add the prawns, cover and leave in the fridge. Place scoops of the yoomoo on a silicone mat and freeze them ready to assemble the dish just before serving. Adjust the chili heat of the modern prawn cocktail cocktail to your taste by both varying the amount of chili sauce that you use, and the amount of diced chili in the garnish. Very the garnish according to what’s available: if you can’t find shell-on prawns, don’t worry. Just leave them out. For maximum impact serve in a martini glass. 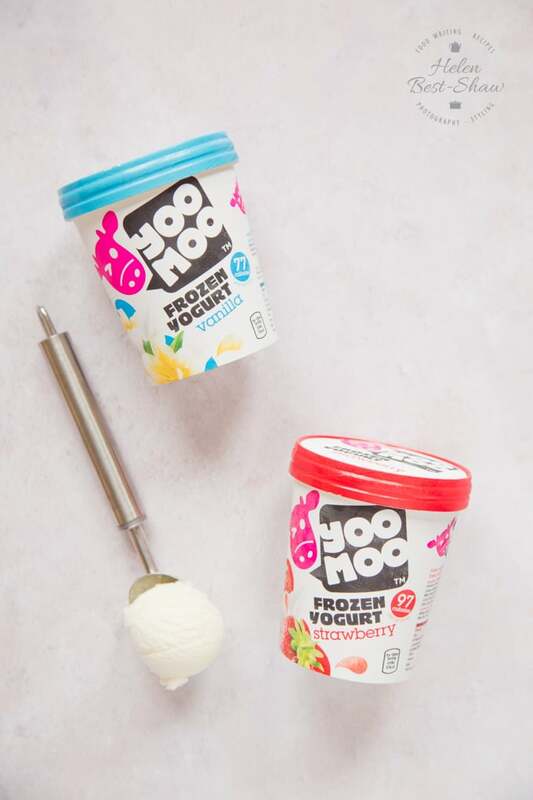 yoomoo frozen yogurt is available in 500ml tubs in 2 flavours: vanilla, as I’ve used here, and also strawberry as I used in my frozen yogurt breakfast sundae with fruit compote. It’s also available on a stick as frozen lollies in mixed berry, strawberry and tropical flavours. I love the texture: light and fluffy, and easy to scoop from the tub straight out of the freezer. With both the strawberry and vanilla varieties, the individual flavours really come through: neither froyo is overly sweet. 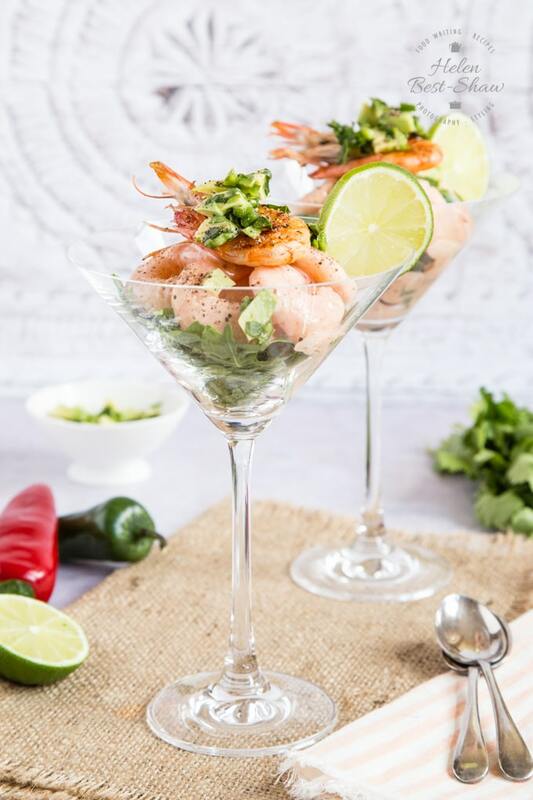 If you try this Modern Prawn Cocktail with Frozen Yogurt please tag #FussFreeFlavours on Instagram or Twitter. It is amazing for me when for me when you make one of my recipes and I really do love to see them. You can also share it on my Facebook page. Please pin this recipe to Pinterest too! Thanks for reading Fuss Free Flavours! This modern prawn cocktail hides a delicious secret: a scoop of vanilla frozen yogurt at its heart. The cool, sweet froyo offsets the chili heat in the sauce covering the prawns. The base of the cocktail are a few rocket leaves, and its garnished as you wish: we've gone for a cooked, shell-on prawn and finely diced avocado. In 2 cocktail glasses, add enough rocket leaves to half fill the glass. 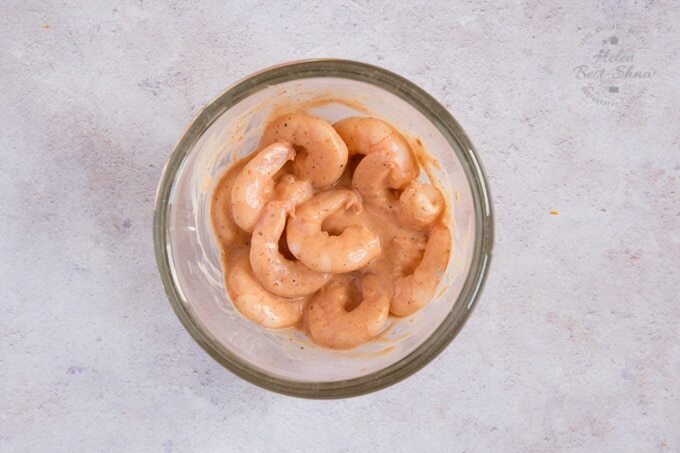 Top the frozen yogurt with the dressed prawns. 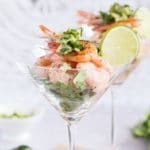 Finely dice the avocado; use it to garnish the prawn cocktail along with a a cooked, shell-on prawn, a little finely diced green chili, a slice of lime and finely chopped coriander leaves.